There’s been lots of excitement and alarms among the cable news chatterboxes, but what is the real story about it? Saudi Arabia is reported to be nearing completion of a research reactor. It’s a light water research reactor. It has a mere 10KW of power (electrical) (30 KW thermal) and the fuel, when it is acquired, will be only 2.1% U235. In short, the reactor can’t be used to make bomb material. The reactor is under construction and expected to be completed this year. The IAEA has asked Saudi Arabia to allow inspections once it seeks to fuel the reactor. No nation that is a member of the Nuclear Suppliers Group (NSG) will provide any nuclear fuel to Saudi Arabia for any reason if it does not sign on to the IAEA’s requirements for inspections. Saudi Arabia still has to get the fuel to run it, and a possible source is Pakistan if the Nuclear Suppliers Group (NSG) declines to provide the fuel. That’s unlikely, at least for now, since doing so would set a bad precedent for future requests from Saudi Arabia for nuclear fuel if it chooses to build full size, commercial nuclear reactors. What Will the Reactor Do? According to its website King Abdulaziz City for Science and Technology (KACST), which is where the research reactor is located, is a scientific government institution that supports and enhances scientific applied research. Research activities focus on projects in agriculture, industry, and medicine through specialized personnel in diverse engineering fields, nuclear sciences, and physics. Another field in this sector is irradiation technology which involves research in improving the properties of materials and products through irradiation, for the benefits of industry, medicine, and food sectors. This sector also supports the national fundamental requirements of radiation monitoring and measurements; e.g., radiological baseline studies of the environment in areas involved with industrial and mining activities. This work may support site characterization of potential sites for commercial nuclear reactors. World Nuclear News reported in November 2018 the low-energy research reactor is one of seven strategic projects in renewable and atomic energy, water desalination, genetic medicine and aircraft manufacturing formally inaugurated the country. The research reactor, being built by Argentina’s state-backed nuclear company INVAP, is a low power research reactor (LPRR) that is generally used to irradiate materials, make medical isotopes, and train nuclear engineers and operators on the fundamentals of atomic energy. AFP reports that the head U.N. nuclear inspector said on 05 April 2019 that his agency is asking Saudi Arabia to agree to safeguards on nuclear material that could arrive by the end of the year for the research unit. 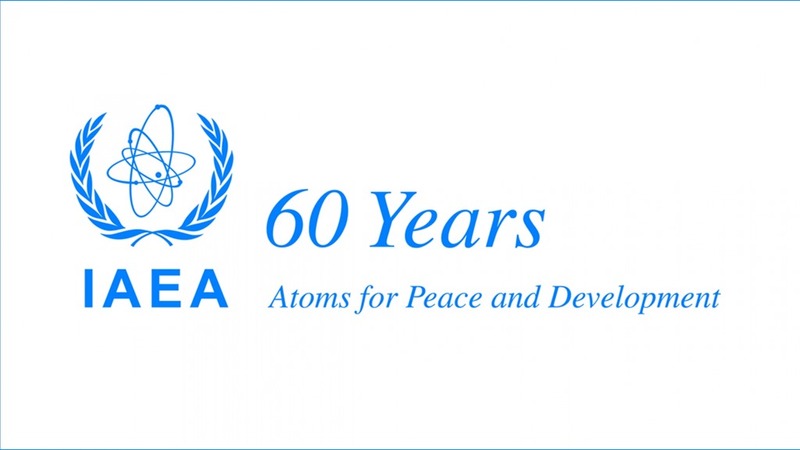 Yukiya Amano, director general of the International Atomic Energy Agency (IAEA) , said that there is nothing secret about the reactor and that Saudi Arabia informed the Vienna-based U.N. body about its plans in 2014. However, a check of the IAEA Research Reactor Database shows that the entry for Saudi Arabia hasn’t been updated since 2016. AFP reported that Amano said the IAEA has encouraged Saudi Arabia to put into force a comprehensive safeguard agreement, under which the agency ensures that nuclear material is not being diverted to weapons use. This involves on-site inspections of the reactor itself and related facilities. “We have proposed to Saudi Arabia to replace it by the full-fledged comprehensive safeguards agreement,” Amano told the wire service in Washington. Nonproliferation experts have cautioned that Saudi Arabia has not been transparent about its plans and that Amano’s diplomatic language about Saudi Arabvia’s noncommittal responses to the IAEA’s requests for inspections covers a long standing frustration with the desert kingdom over its reluctance to agree to the IAEA’s requests. The Associated Press reported that Robert Kelley, a veteran of the U.S. Department of Energy and a former director of nuclear inspections at the IAEA who is now based in Vienna, was first to identify the images of the reactor site in Riyadh at the King Abdulaziz City of Science and Technology (KACST). “It’s simply that they’re crossing a threshold in terms of their requirements,” Kelley said. Saudi Arabia does not possess nuclear weapons. As a state party to the Nuclear Nonproliferation Treaty (NPT) since 1988, it is recognized as a Non-Nuclear Weapon State (NNWS). It has not signed the Comprehensive Test Ban Treaty (CTBT). See this NTI profile of the history and capabilities of Saudi Arabia’s nascent nuclear energy program. Also, in this profile NTI discusses at the allegations that Saudi Arabia has provided financial support to Pakistan for its nuclear weapons program as part of a pro quid pro with that nation. These reports by the IAEA and NTI, and Saudi Arabia’s apparent procrastination in complying with the IAEA requests, form the basis for a lack of trust of its intentions. Until an IAEA additional agreement is signed, Saudi Arabia may find that there is a dark cloud hanging over its plans for commercial nuclear reactors. If Saudi Arabia wants to prove that it can be trusted with nuclear technologies, it needs to step up and implement the international standards of action that other countries, including all of its potential vendors for the first two reactors, have also agreed to. 1 Response to Much Ado About Saudi Research Reactor; Justified or Not?